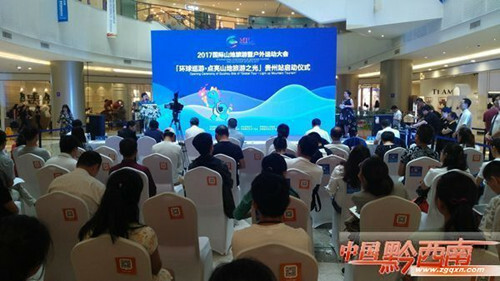 A launch ceremony for the upcoming 2017 International Conference of Mountain Tourism and Outdoor Sports was held in Guiyang, Guizhou province, on July 1. The conference will open from Aug 7 to 9 this year in the Qianxinan Bouyei and Miao autonomous prefecture, offering activities including hiking, a dragon dance competition and rally races for attendees to enjoy. As China's only State-level outdoor sports conference, the event aims to promote the sustainable development of mountain tourism, and encourage cooperation within the industry to alleviate regional poverty through tourism. Qianxinan is located at the intersection of Guizhou province, Yunnan province and the Guangxi Zhuang autonomous region. 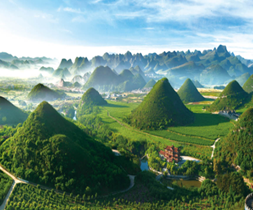 It boasts unique karst landform among other rich landscapes, including plateaus, waterfalls, gorges and mountains. The region is highly suitable for hosting outdoor sports activities. Having hosted the conference twice since 2015, Qianxinan will build on its past successes by attracting more participants and organizations this year.